Although this may sound like a fairly straight forward Top-10 look into the broad and varied world of celebrity cars, when it comes down to finding 10 “top” celebrity mods, it’s actually harder than you think. Celebrities are known for their often big and eccentric egos, and they like nothing more than displaying this in their cars. When money is no object and your ego is big and/or eccentric, car mods and visions usually go terribly wrong. 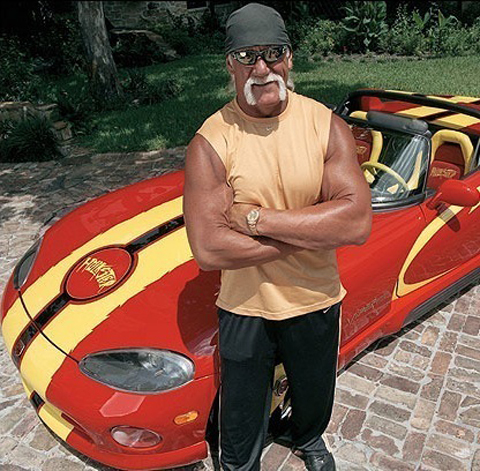 Take the Hulkster below and his SRT Viper, for instance, and you see what I’m up against here. The Mk I Viper happens to be one of my favourite cars, especially in red with the factory yellow rims, but this is going too far. So after much internet trawling, I present to you some of the better and tasteful celebrity modifications. This is entirely subjective, of course, but anyone finding the above attractive shouldn’t even be reading this article in the first place. Now this is more than you’re average modded out car. This serious piece of machinery is a Hennessey Venom GT Spyder, a highly-modified version of the Lotus Exige. 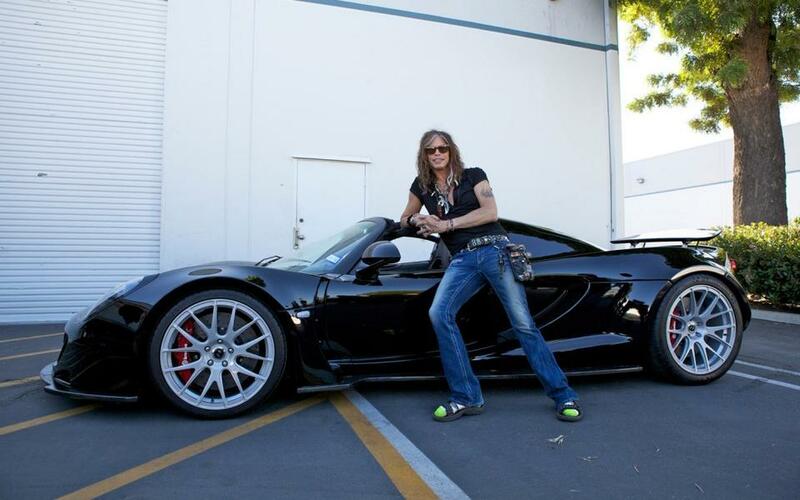 Aerosmith frontman Steven Tyler bought this one for a cool $1.1M. You wouldn’t think someone wearing that sock/sandle combo would require a car capable of 0-200-mph in 15.9 seconds. 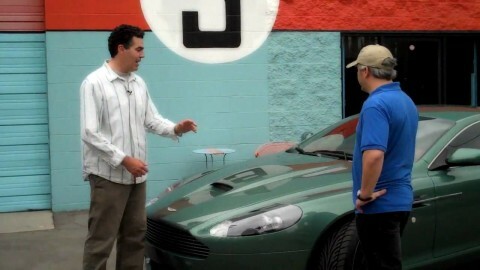 Known for hosting The Car Show on Speed TV and The Man Show, Adam Corolla has a very nice car collection. Apart from his race-spec JDM livery and Lamborghinis, he’s also got a very nice Aston Martin DB9 modified by legend Chip Foose. Apart from a hood scoop, Brembo discs and calipers and some black aftermarket 18″ wheels were fitted. 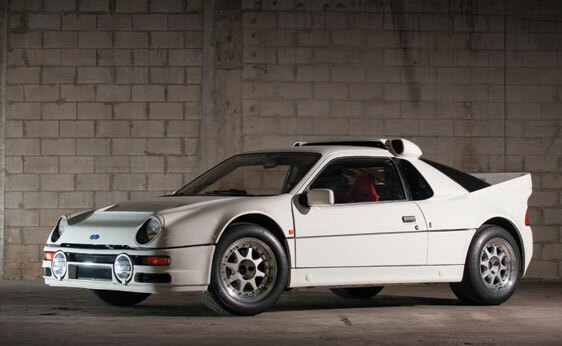 Not actually in shot in the collection, this is a very rare Ford RS200 owned by a very lucky Tim Allen. For a funny man this car couldn’t be anymore serious. The RS200 Evolution is a Group B lunatic of a car, helping the FIA finally make the decision to ban Group B rally. Most of these cars ended up in collections like this, and this particular car has just 3,500 miles on it. It doesn’t look that outrageous, but consider this: 0-60-mph in 2.1 seconds on tarmac… and that was in the late 80s. This modified car is one of many unique and rare cars owned by TV legend Jay Leno. This monster is powered by an M47 Patton tank engine and has a custom aluminum body. It has 810-bhp and weighs in at 4300-kg (1/11th of the actual tank’s weight). It’s thought Leno is set to upgrade with fuel injection and twin turbochargers to double the bhp to 1600-bhp, so around 400-bhp per tonne. Not that it will trouble Leno’s wallet, but this tank car will only manage 5-mpg. Ralph Lauren is obviously a man with natural style and vision, and this shows in his car collection. 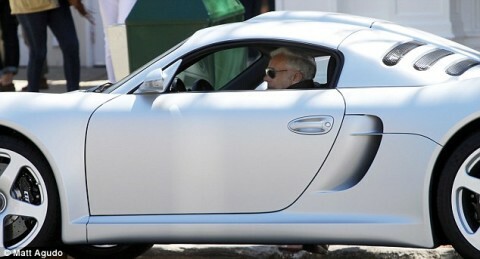 Pictured above is the fashion mogul driving his Porsche RUF CTR-3 around the Hamptons. More than just a body kit and custom styling, the RUF CTR-3 features the kind of technology that gives you 750-bhp, a top speed of 233-mph and 0-62-mph in 3.1 seconds. WWE wrestling star, Bill Goldberg is known for his love of muscle cars, and his clone of the ’70 Satellite to a Plymouth Superbird is simply stunning. The Superbird was either loved or hated in NASCAR, but it was eventually banned because of its aerodynamic advantage and 200+mph speeds. 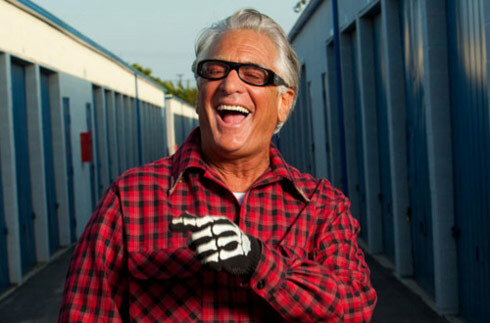 Reality TV star, Barry Weiss owns his fair share of classic customs like this ’47 Cadillac. 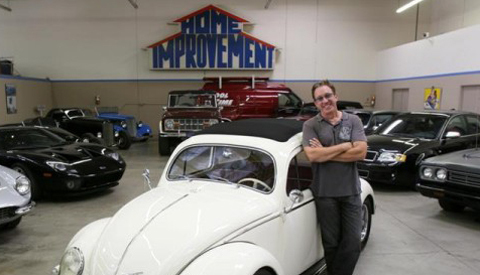 Being an avid collector for most of life, he knows when he’s hit upon something special. 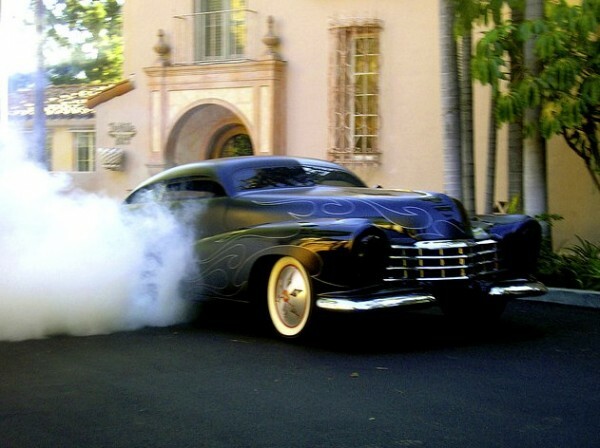 Is there anything cooler than doing a burnout on your own drive in a custom caddy? 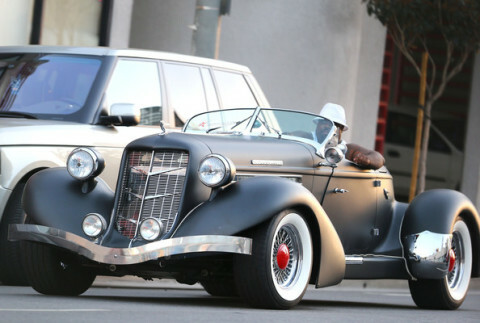 Singer Cee Lo Green is looking chilled in his modern spin on a ’35 Auburn Speedster. Loving the flat paint combined with this red centre hubs. 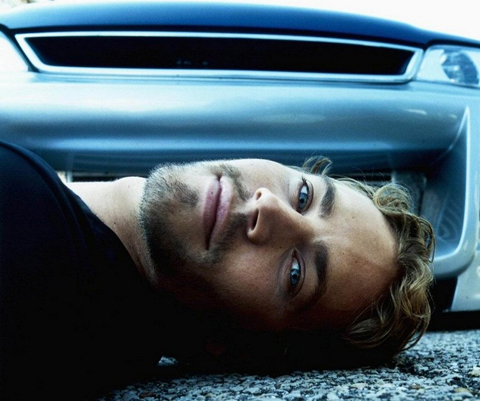 Years before the Fast & Furious franchise began, Paul Walker (Bryan) admitted to laughing at the JDM (Japanese Domestic Market) cars, but thanks to the F&F movies, he found himself totally infatuated by them. 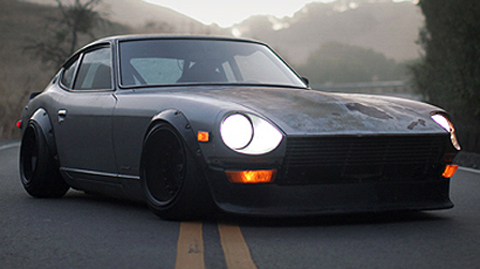 His personal garage features many JDM turbo rockets, but it’s this slammed Datsun 240Z that does it for us. If I think about Sly Stallone driving I picture that ultra cool grey muscle car he uses in Cobra, but unfortunately he doesn’t actually own it. 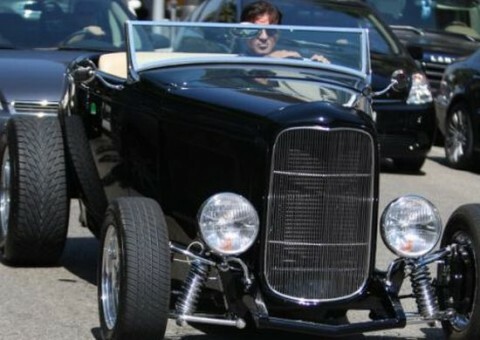 He does, however own this old school hot rod, a ride he likes driving around Hollywood.